We’re back in the Southern Hemisphere! 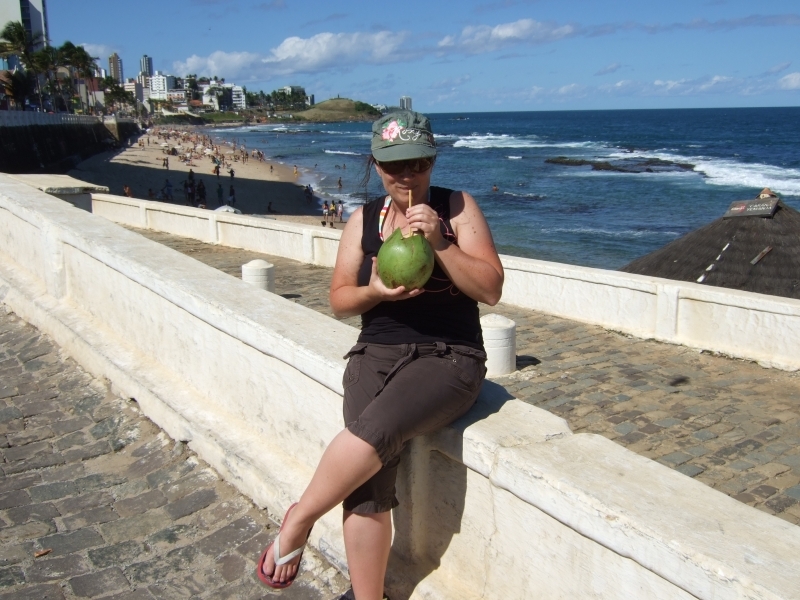 Hola from South America – except we are in Brazil where they speak Portuguese so Oi! (hello). The 11 hour flight from Frankfurt to Bahia de Salvador in Brazil was great despite being some budget German airline. A guy named Casio was there to meet us at the airport and then drove us across town to the suburb of Barra where we were staying. Our first impressions were that it’s pretty run down and we were glad that we were being picked up rather than catching the public bus!! 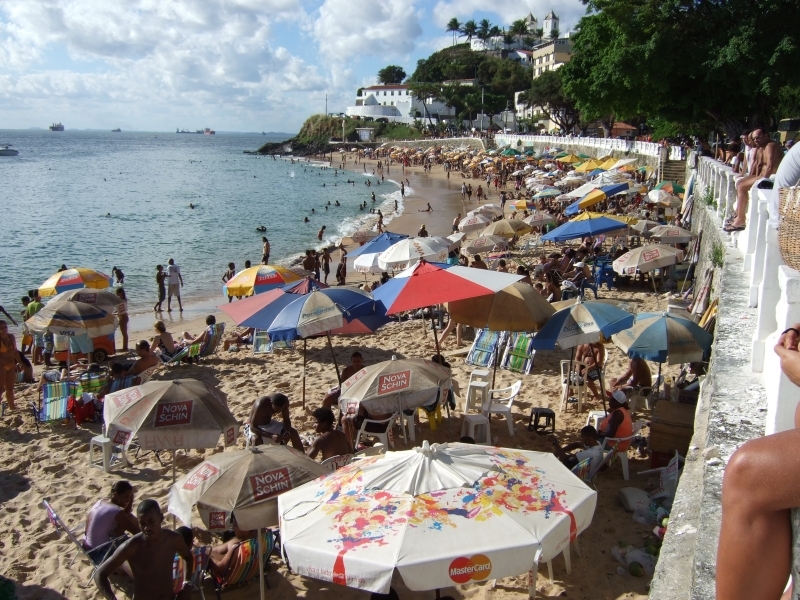 We also got our first glimpses of favelas, the slum cities that are on the hillsides in all the major towns in Brazil. 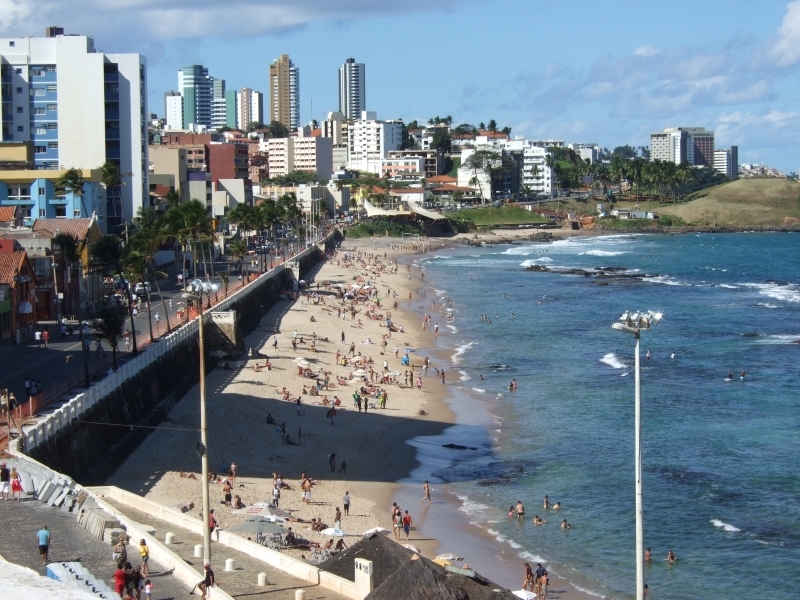 Salvador is the third largest city in Brazil and is often called ‘Africa in exile’ for it’s European/African mix. The city was very wealthy from sugar cane and tobacco and and had a thriving slave trade for 3 centuries (hence the African connection). 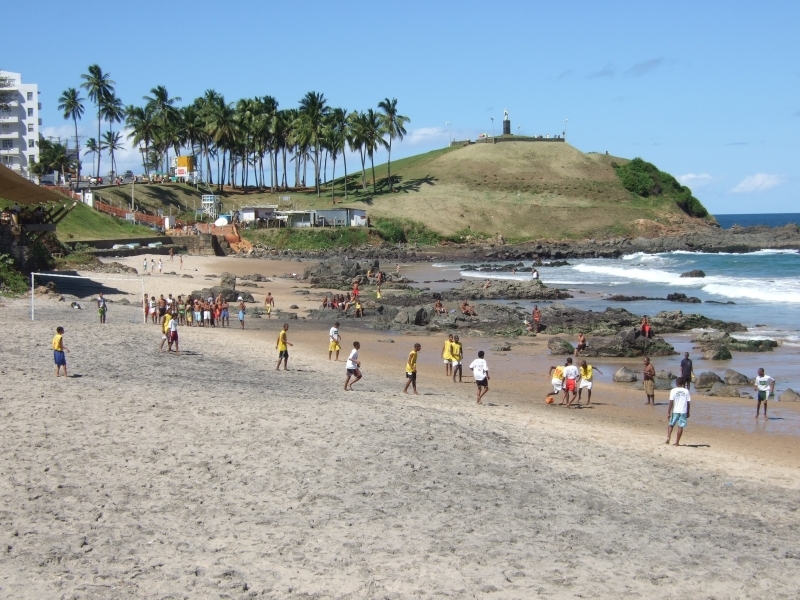 The majority of the people here are black as opposed to what you might stereotypically think of as a Brazilian! We stayed at a cool place called Barra Guest House, which is owned by an English guy called Russell and his Brazilian wife. Russell sat us down and went through the do’s and don’t’s. Basically don’t leave the guest house with anything of value – watch, passports etc, and don’t even take a bag or camera when you go to the Pelhourino (old town). He then pulled out a map and marked the streets where it is ok to walk, and the streets to go down under no circumstances!! And the final advice was taxi everywhere. We were starting to think we had come to downtown Kabul rather than Brazil!! Anyway it was all good advice and did make us extra careful. 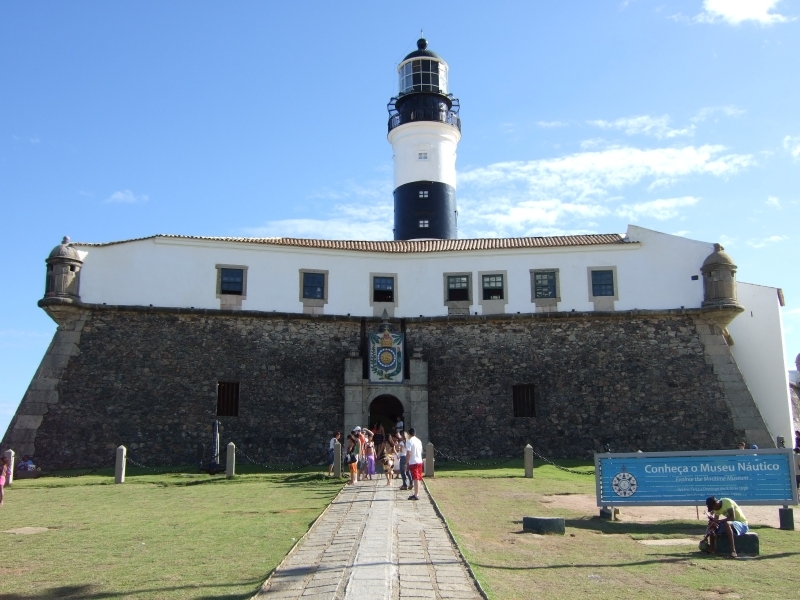 We also visited the Forte de Santo Antonio de Barra, which is the oldest lighthouse in Sth America and the point where the Portuguese first made their claim for Brazil in 1501. It had a really interesting maritime museum inside which also had a lot of history about Salvador and the slave trade that founded it. Not really a sight we see in NZ too often! The next day we ventured up to the Pelhourino (old city) with some trepidation as this is where Russell warned us that it’s a bit unsafe and tourists can be targeted. We decided to take the small camera with us once we had figured that we could cleverly hide it in Mike’s shorts. Turns out there were heaps of people with cameras up there, and bags, and blingy jewellery who were much more of a target than these two skody Kiwi backpackers! The police were literally on every street corner so it felt reasonably safe, still quite dodgy though. Anyway, the Pelhourino is a national & UNESCO monument and is where the Portuguese built their fortified city. 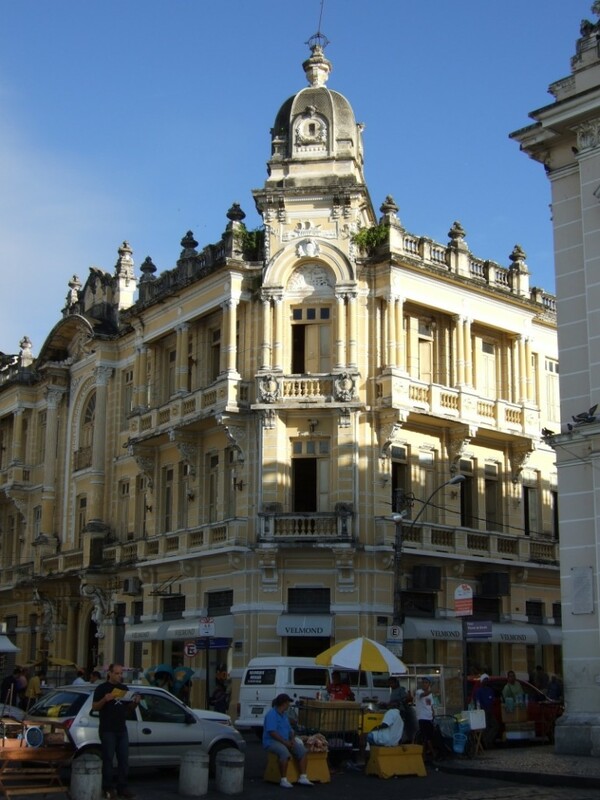 It apparently has some of the most important examples of colonial architecture in the Americas. It is absolutely beautiful in a ‘faded grandeur’ sense. The buildings are all various shades of pastel colours and the streets are all cobblestone. There are many churches of which the insides are covered in gold. 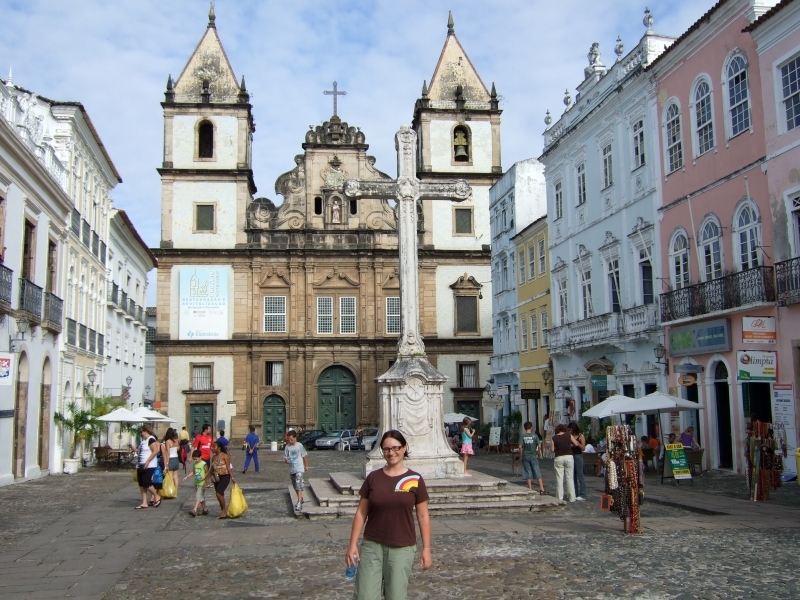 We visited the city cathedral with was built in 1692. 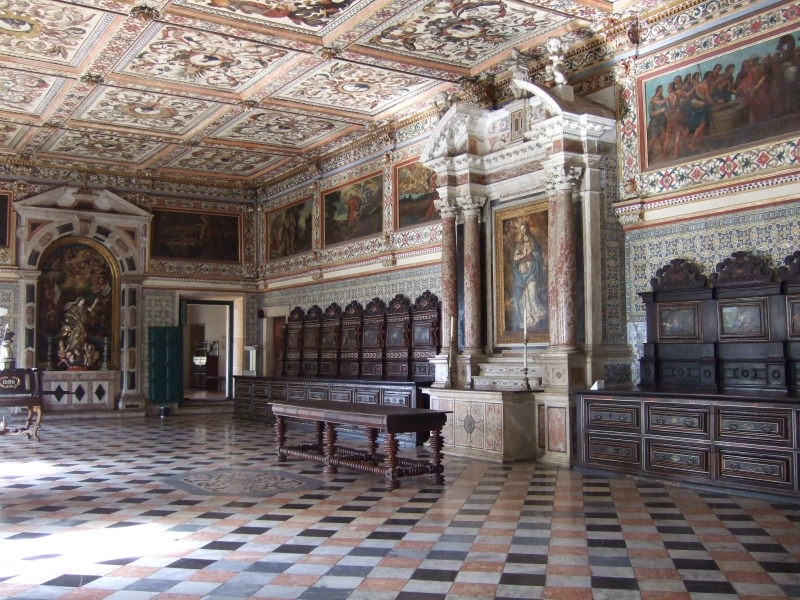 The vast vaulted ceiling and 12 side altars in baroque style frame the main altar, which is completely leafed in gold. 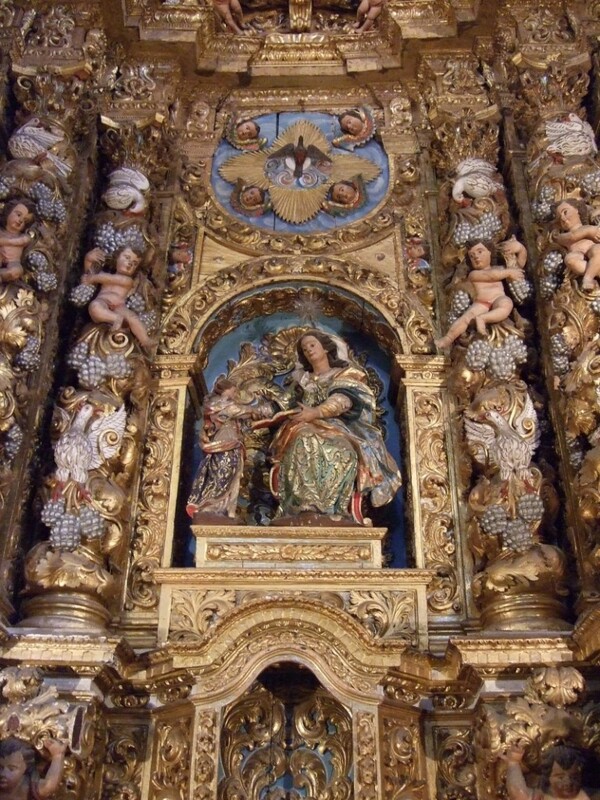 The most stunning church was the church of Saint Frances (Sao Francisco). 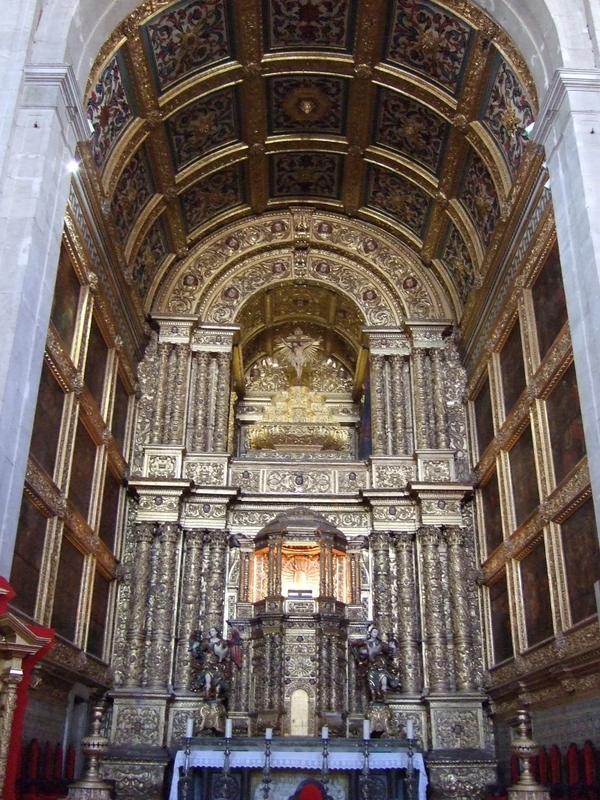 It looks fairly ordinary from the outside, but inside the main body of the church is completely covered in gold. It is just stunning. Unfortunately no photos allowed though so you’ll have to Google it 😉 Quite sad too though when you think that the massive fortunes that allowed these churches to be built were from the profits of the slave trade. 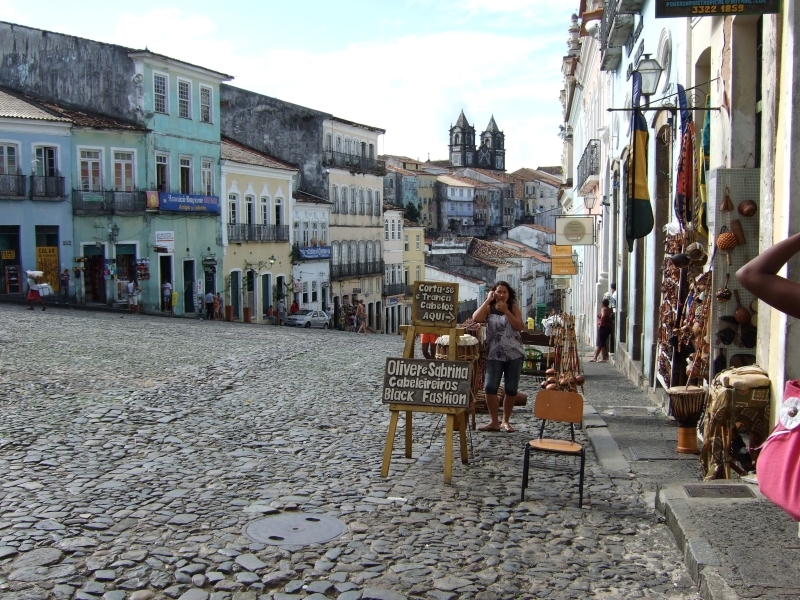 We spent a couple of hours wandering around the cobbled streets where there were lots of artists selling neat paintings of the area. We then went to a show by Bale Folclorico da Bahia, who are an amazing dance/singing group who did an hour show comprising candomble (an Afro-Brazilian religion in which the African deities of Nature, the Goddess of the sea and the God of creation are worshipped), fire eating and walking, capoeira (a marshal art/dance to music – drums, tambourine and berimbau) and samba. It was fantastic to watch. 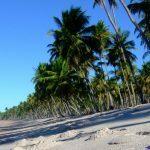 The next day we packed our bags to head to paradise….